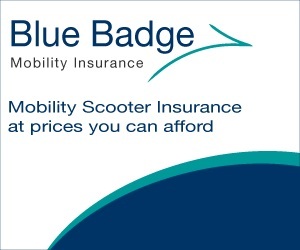 As mobility scooters are continually improved they make a lot of short journeys easier and with various accessories that can be added it means there is little problem in a user carrying a walking stick or crutches, small amounts of shopping and other items on their scooter. Sometimes though you may need to carry more than a bag of groceries and although some people may hang a shopping bag from the handles it’s not really the best way and could even become a little dangerous as it puts added weight on the handle area, this could make it more difficult for you to turn safely. 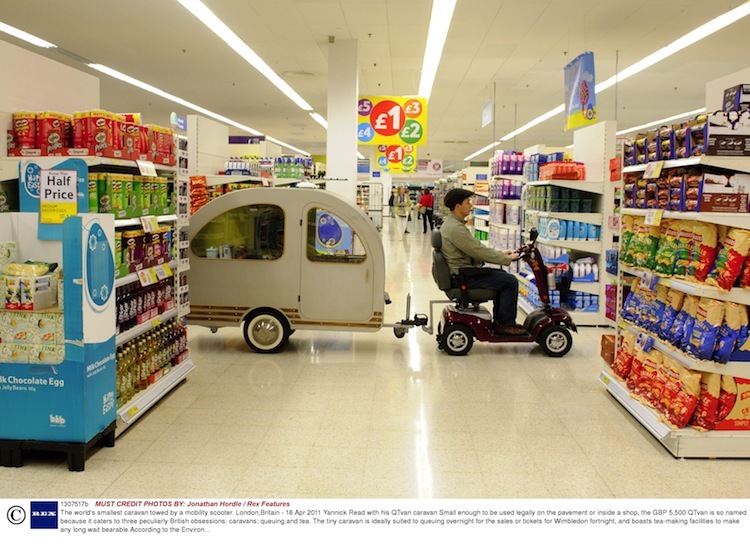 A mobility scooter trailer can be suitable for those journeys where you need to transport a few bags of shopping or other items, and safely, as well as keeping the items dry. All of this needs to be possible without making your scooter difficult to manage, so it’s important that you don’t try to attach any type of trailer that you think you will be OK but instead only use one designed purely for use with a mobility scooter. 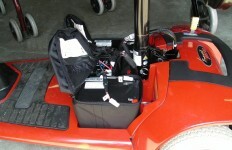 There will usually be a limit in size for the trailer and this is to make sure that the mobility scooter, with a trailer attached, does not become a problem to operate and that not too much weight can be added that would cause any problems or put the user at risk. 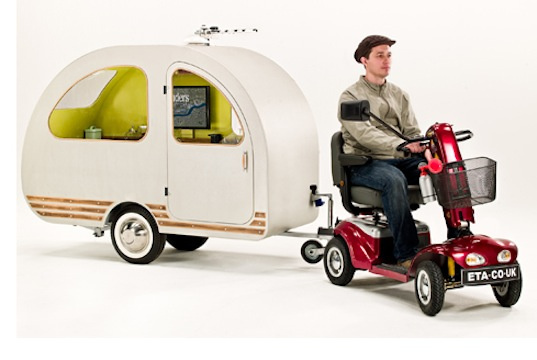 The trailers are usually lockable too, so keeping your items safe inside, they are built to withstand the natural vibration and wear and tear as a mobility scooter user travels along pavements and roads and will connect to most mobility scooters. With a trailer you are not as limited to the amount of shopping or items that you can carry safely, this also keeps yourself safer by keeping anything that shouldn’t be on the handle area off and behind you where it doesn’t become a distraction or a liability. Attaching a mobility scooter trailer is kept simple, as is detaching it so as soon as you don’t need the use of the trailer it can simply be unattached with a few simple steps and reattached with a few simple steps when you need it again. We know of only two trailers that are widely available: the Travix trailer, and the Caddy trailer for the TGA Sonet, Mystere & Eclipse models. The Koolcaddy was an excellent trailer but appears to be discontinued. If you can find one second hand it may be worth looking into. If any of our readers find any more trailers available, please do let us know. Sometimes a picture will appear online of a bicycle trailer adapted to be used with a mobility scooter. If you feel confident enough to make the modifications, this route seems the easiest to go down. The trailer idea is good but a bit expensive, maybe a cheap kit could be made as my Caddy trailer that can carry about 7 cwt comes as a flat pack kit. All it would need it a ‘T’ trame with 2 stub axles and a coupling on it, 2 wheels, 4 sides and a floor for the box. Much safer I believe than the wire basket on a ‘T’ frame behind seat as these increase weight at back which can cause scooter to tip backwards especially if anti tip wheels removed like on mine as they foul the ramp sides when loading into car. My answer to this problem was to use a Cycle Cargo trailer,Obtainable for around £70 online (check Ebay for Cycle Trailer) and easily fitted with a little bit of thought.Has the advantage of being easily folded down and stored.It solved my problem,hope it can do same for you..
Do you think a childs trailer for a bike would work the same way? 14. There was a small majority of respondents in favour of permitting the carriage of a baby or a young child on a mobility vehicle. It is the Department’s view, that if a vehicle is adapted to carry a child, or if a pouch, sling or any other means of carrying a child is attached to the vehicle, the law does not permit this. However, the law does not explicitly state that a parent or guardian carrying a child in a pouch or a sling on their person, as an adult who was not disabled would do, is unlawful. There are obvious safety reasons why a baby or young child should not be permitted to be carried on the vehicle, and we have therefore decided that, on this issue, there is not a pressing case to make any changes to legislation. Yes. I use one daily with my daughter. I bought loads of lights and even managed to get some indicators. Hi Emma, it depends on the type of trailer i would say, also dependant on the mobility scooter pulling it. I guess safety, balance and a few other things need to be considered. So if that is try what is the distinction that allows a scooter to have a ‘trailer’? Sorry I meant to say if that is true not try! Can I ask where you heard that a scooter trailer is illegal as I have considered purchasing the above trailer. Graham, i haven’t heard of mobility scooter trailers being illegal either, and im not aware of a fine of £5000 for this. Hi Graham, might it be that they are just not approved for insurance reasons? 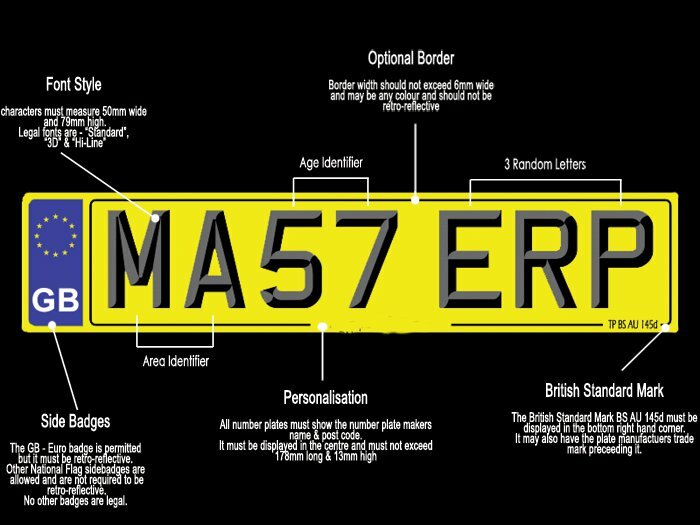 Or are they actually illegal? I have a hard time imagining that someone using a purpose built and sold mobility scooter trailer actually being stopped by the police and actually fined for using one. Hi,i am thinking of purchasing a child bike trailer and converting it to fit my mobility scooter.As i have no other way of transporting my child around,do you think this is a suitable option ? Been thinking of doing the same getting a bike trailer soi can carry my son around I cant drive and collecting my other children is a nightmare although not far I cant walk that fair either and ive a 1 year old when I could ride my bike I used a bike trailer for my other children so would live to know if illegal or not?? See my posts above … As replies to others..
i used to take my child sitting on the floor of my scooter, they loved it! for safety reasons i would not have chosen to have them somewhere where they could escape or not be seen by someone in a car behind me..